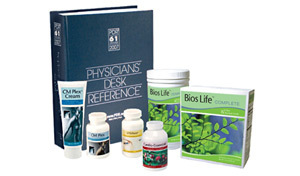 pdr productsUnicity International is proud to announce that the new 2007 edition of the Physicians’ Desk Reference (PDR) lists Unicity products. Our continued focus on clinical research has enabled Unicity to list Bios Life, Cardio Essentials™, CM Plex™ Capsules, CM Plex™ Cream, and VISUtein® in this prestigious reference for health care professionals. The Physicians’ Desk Reference is the nation’s most trusted source of FDA-approved prescribing information, and is consulted by health care professionals millions of times each week. The PDR 2007 will be distributed to almost half a million MDs, and chief pharmacists throughout the United States. Ninety percent (90%) of health care professionals consider this reference the most important source of reliable information and it helps them in making the right decision on advising their patients which products they should use. Bios Life is a patented fiber drink that has been studied extensively in clinical studies, and has a proven track record in reducing cholesterol levels in a completely natural and side-effect-free way. This product can be used as a stand-alone intervention strategy, or be combined with prescription cholesterol medication. In the latter case, a gradual decreasing need for the prescription medication can be achieved. Another beneficial effect of Bios Life Complete is the reduction of the post-meal glucose peak in diabetics. These effects have been observed in two independent pilot clinical trials with Bios Life Complete. Overall lower glucose levels in diabetics are known to reduce the risk for serious late-complications. CM Plex Capsules and Cream are two synergistic products that provide a proprietary blend of cetyl fatty acids, in particular cetyl myristoleate. These fatty acids are known to reduce inflammation and relieve joint pain. Two separate clinical studies, that have been published in the Journal of Rheumatology, have proven the beneficial effects these products have for patients with osteo arthritis. Taking the product together results in an even stronger effect. Cardio Essentials is Unicity’s strong heart function improving product. The four ingredients in this product, CoQ10, taurine, carnitine and hawthorn extract, all work together in providing optimal nourishment for the heart muscle. Lower levels of CoQ10, taurine and carnitine are known to reduce the pumping efficiency and strength of the heart muscle. A clinical trial with these ingredients has shown life-saving effects for patients with congestive heart failure. Finally, VisuTein is our product for preserving vision during aging. The product contains ingredients for the prevention of many common ocular disorders, but is particularly advised for people with Age-Related Macula Degeneration (AMD), or people with an elevated risk for this disease, such as those with a family history. The high concentration of lutein in VisuTein actively restores the concentration of this carotenoid in the retina, especially in the center of vision (macula). A recent clinical study with VisuTein in AMD patients compared this product directly to the leading brand with spectacular results. VisuTein proved to be magnitudes of orders better in improving visual acuity, contrast sensitivity, and recovery from a flash. All health care professionals in the ophthalmology, or optometry field should consider changing to VisuTein as standard of care for preventing ocular disorders. Download a printable version of the list of products from Unicity in the PDR.